This entry was posted in Fibre, Spinning and tagged Spinning, Tour de Fleece. Bookmark the permalink. It’s very sweet. Have you used angelina before? What percentage angelina to wool? I’d like to try it but have been a bit unsure about how much to blend in. 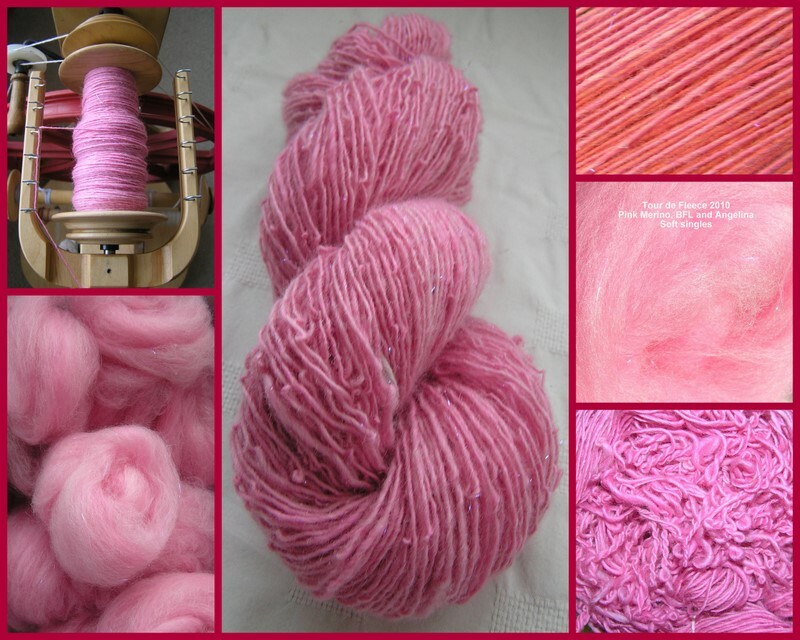 I find you only need a tiny bit of angelina – I hand carded this fibre and did a layer of merino, a light layer of BFL, about three pinches of angelina and a final layer of merino. I bought both the heat bondable and non-heat bondable angelina from World of Wool and the non-heat bondable one looks finer than the one used in this blend!